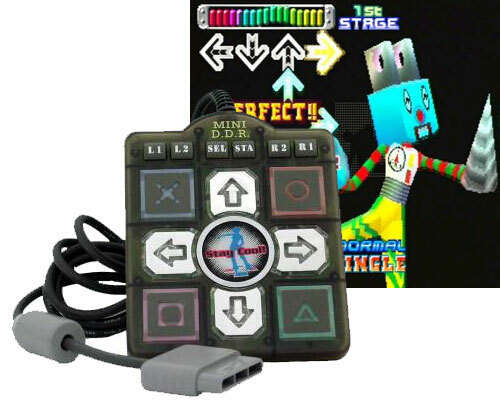 Hand sized Dance Mat controller for Sony Playstations. Accessible dance controller suitable for people able to use their hands to play. Play against people using full sized dance mats. With specific additional controller adapters, this controller can be used with PCs and older games machines. LEDs light up when pressing the direction buttons. Colour of controller may vary.